Alessi Laurent-Marke is a London based Singer-songwriter and artist. Alessi began writing and performing her songs in and around London at sixteen years of age and soon caught the attention of EMI’s MD Terry Felgate who signed her to EMI/Virgin Records on the eve of her seventeenth birthday in July 2007. Alessi sent her demos to Bright Eyes/Rilo Kiley/First Aid Kit producer Mike Mogis in August 2007 and they began working on her debut album ‘Notes from the Treehouse’ in Omaha, Nebraska. Alessi worked closely with the Saddle Creek community on her album and while based in Omaha, recorded guest vocals for local bands Neva Dinova, McCarthy Trenching and Cursive. ‘Notes from the Treehouse’ was released to critical acclaim in 2009 and Alessi toured extensively in the UK, Europe and Ireland in support of the album with band mates Mumford & Sons, Laura Marling, and Johnny Flynn amongst others. The Riverside Studios in London, held an exhibition of Alessi’s illustrations and paintings inspired by ‘Notes from the Treehouse’ later that year. In 2010, Alessi was approached by Bella Union’s label owner, Simon Raymonde about working together. Alessi went on to release her first EP with Bella Union titled ‘Soul Proprietor’ and toured extensively in the UK and Europe headlining her own shows. Alessi toured the US and appeared at CMJ and SXSW festivals. 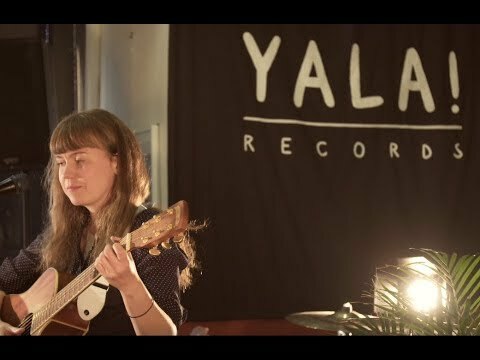 In 2011, Alessi released her second album titled ‘Time Travel’ through Bella Union and YepRoc and was invited to join Laura Marling on her North American tour. ‘Time Travel’ was met with great critical acclaim and Alessi received great support from US radio stations NPR, KEXP, KCRW AND WMPR amongst others. Alessi appeared once again at CMJ and SXSW. John Grant invited Alessi on tour in Europe where they toured extensively in support of their releases. In 2012 recorded vocals for Maccabee’s side project ‘Young Colossus’ and performed in London in support of the release of their graphic novel/album project. Alessi also toured with the Villagers and Laura Veirs in the UK. In 2013, Alessi recorded her third album ‘The Still Life’ with Bright Eyes member, Andy LeMaster in Athens, Georgia. The album was greatly supported by the press in the UK and US and Alessi headlined UK shows, appeared at festivals in the UK and Europe and toured the US and UK alongside Sam Amidon and the Mountain Goats. Alessi successfully toured Japan in 2012 and 2013 in support of her releases and released an exclusive EP titled ‘Komorebi’ in Japan only through Indie Kobe based label ‘Cow and Mouse’. In 2014, Alessi toured the UK with Rilo Kiley front woman Jenny Lewis and M.Ward. Alessi recorded her fourth album ‘Love is the Currency’ in 2016, collaborating with members of the Maccabees’ Felix White and Will White. Alessi signed with The Orchard/Yellow Year in 2017 and released ‘Love is the Currency’ on October 27th. The album has been met with great critical acclaim in the UK and Alessi has begun touring the UK in support of the album. Alessi has also recorded vocals for a Japanese CITIZEN watch campaign that aired in September 2017.